"Detonator Orgun" is a 3 volume OVA from 1991. It was directed by Masami Obari ("Gowcaizer", "Virus Buster Serge", "Platinumhugen Ordian"), and the Character Designer was Michitaka Kikuchi, a.k.a. Kia Asamiya (creator and character designer of "Silent Möbius", character designer, "Hades Project Zeorymer"). 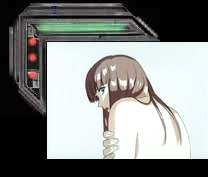 "Detonator Orgun" takes place in the future. In City #5, young adult Tomoru is about to leave school and enter the business world. Instead of preparing for his life in the corporate sector, he’s cutting class and playing videogames. While Tomoru is living his wastrel existence, the E.D.F. (military of the future) is receiving blueprints from outer space on how to build… something. Super genius Michi Kanzaki is ordered to build the thing, but even she doesn’t know what it is. The blueprints are being sent from the Cyborg Warrior (Detonator) Orgun, the greatest Detonator of the “Evoluter”, the machine planet of humanoid-robot warriors who only exist to conquer and subjugate the universe (Bwhahahhahhahaa!). The next planet on the Evoluter’s path of destruction is Earth. Orgun senses a connection between the Evoluter’s past and Earth, and sees that the Earthlings have compassion for one another, something the Detonators have forgotten. 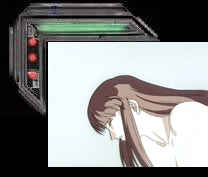 To protect Earth, Orgun sends them the plans for his metal-shell body, and contacts Tomoru, through some videogame-induced dream, to merge with his body. Tomoru, linked with Orgun, must protect Earth from the Evoluter’s Detonators, and teach the Detonators the power of compassion… by beating the bejeezus out of them (nothing says, “I understand your pain,” like a fist to the face). It’s a kewl cartoon of posing, shiny metal ’bots hitting each other. The militaristic sounding music is done by Susumu Hirasawa; the same guy who did "Berserk’s" Forces.